Gyokurinti done, bit of a nightmare to clean him up, but at least his tail was intact. 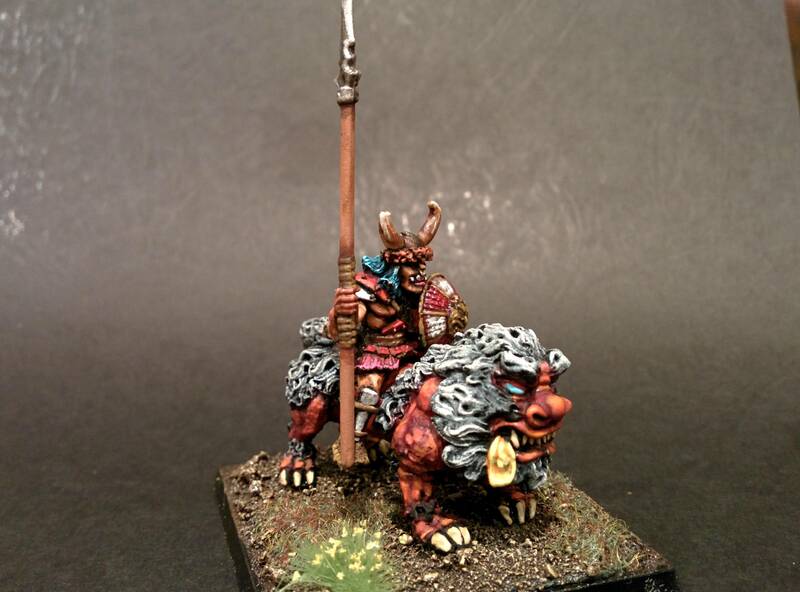 Next up is an AD&D hobgoblin on a temple dog. I absolutely love this thread. These Hobgoblins have a ton of character. I have a batch of my own that I should photo one of these days. They had lots of foot troops and not much else sadly. 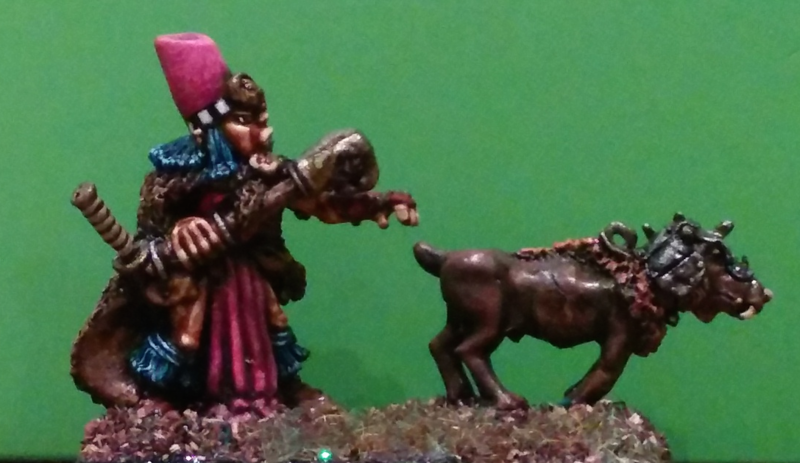 A single foo dog, some hob hounds and the rocket launcher. 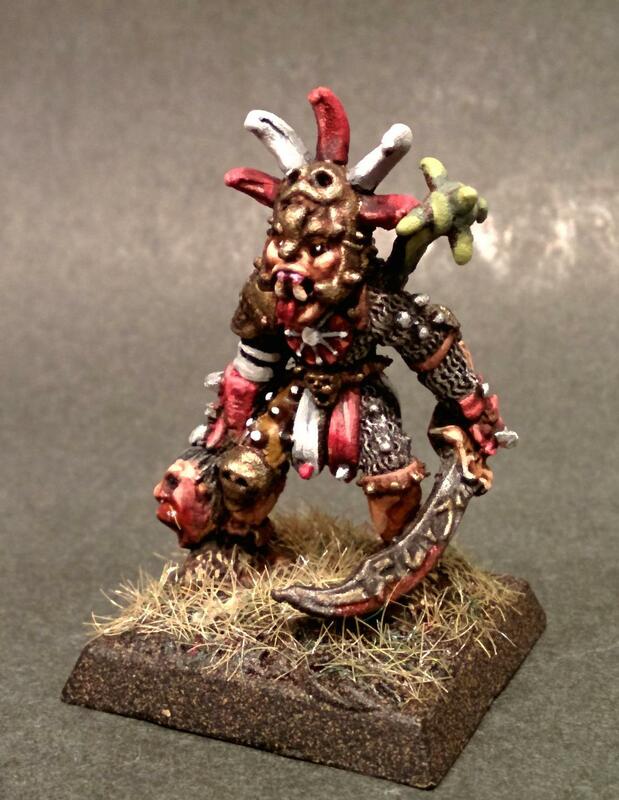 It would have been neat to see GW develop the hobgoblin army a little more before scrapping them. The Strangler looks great! I especially like your work on the severed head. Nice group shot as well & it highlights how you have tied these guys together with color. Unegen make's an appearance with his favourite hob hound. 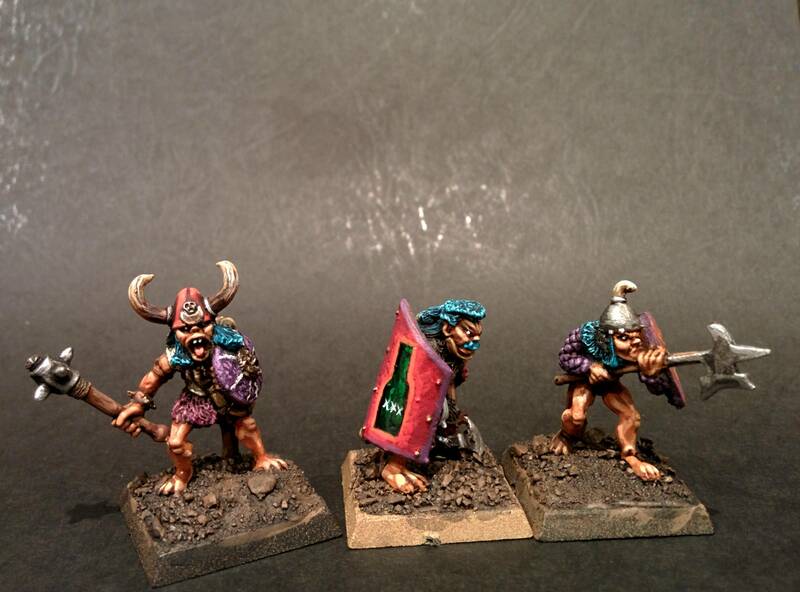 Gonna pop the hounds onto 25mm square bases and 3 small units of 6 minis in a nice little movement tray. Coming along very nicely indeed! I am really looking forward to the army shots when you get enough of them done. 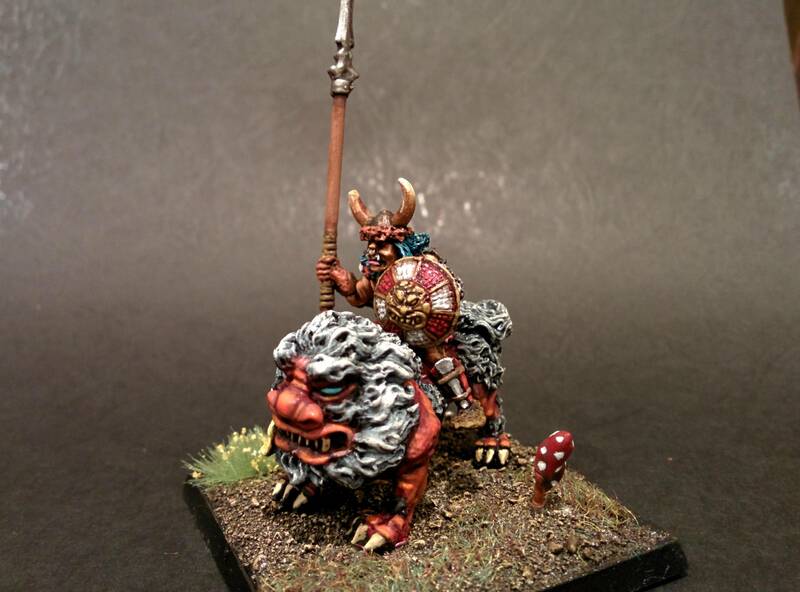 En masse the models look fantastic with the painting style you are going for.